Learn the SuperPath® total hip replacement surgical technique with step by step instructions on OrthOracle. Our e-learning platform contains high resolution images and a certified CME of the SuperPath® total hip replacement surgical procedure. The SuperPath® approach for total hip replacement is a muscle sparing approach based on 2 previous techniques, PATH® and SuperCap®. The name SuperPath® is an abbreviation of the anatomical basis of the approach: SupraCapsular Percutaneous Assisted Total Hip. Although it is classed in the family of Superior approaches to the hip, on closer inspection, the approach is the top end of a standard ‘Posterior’ approach using the interval between Piriformis at the back and Gluteus Minimus at the front. Its main benefits are of complete muscle and tendon sparing in its purest form, whilst having the extensibility of the posterior approach at any point during the procedure. This allows both a safe learning curve and a wider range of indications compared to other ‘Muscle sparing approaches’. 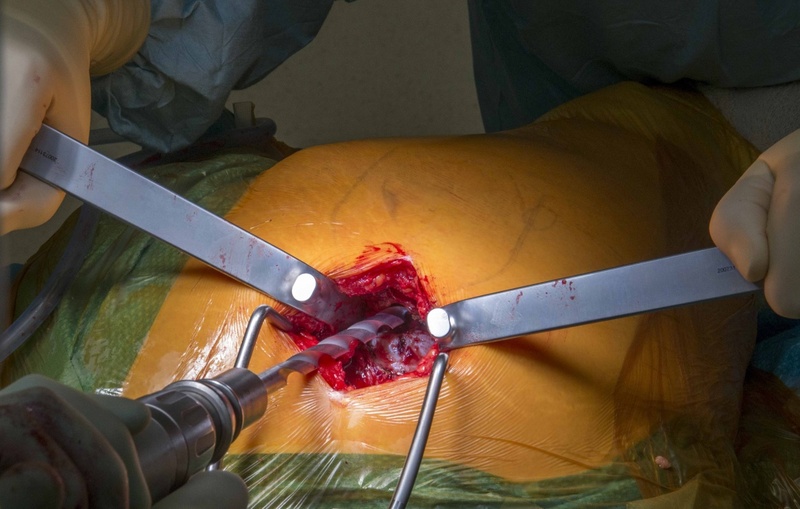 The technique is based around a set of modified instruments that allow direct access to the femur from above and direct access to the acetabulum through a specially designed portal. The use of the portal allows more soft tissue preservation than other superior approaches that rely on offset reamers to access the socket. The instruments come in 2 simple trays that are easy for nursing staff to follow and no additional table attachments are required. Institution : Morriston Hospital, Swansea, UK.